Radiant Apple Cider Vinegar is made from organically grown New Zealand apples and aged well the traditional way in oak barrels to bring out its fresh, natural goodness. It is unfiltered, unheated, unpasteurized with no chemicals, additives or preservatives added. It contains minerals and vitamins (A, C, E, B1, B2 and B6), all essential nutrients vital for body cleansing, healing and promoting well being. 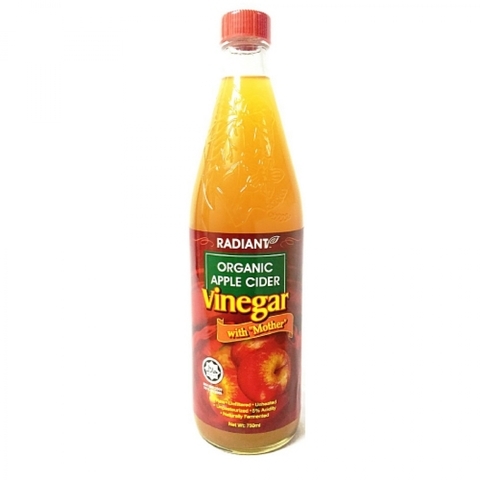 Radiant Apple Cider Vinegar is certified organic by BioGro NZ and Halal by JAKIM. 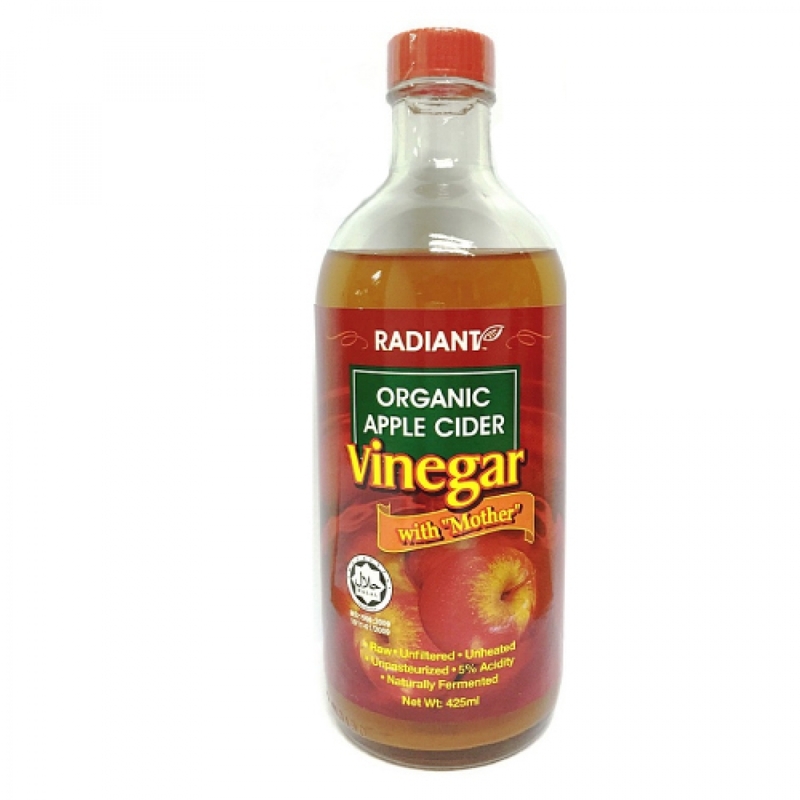 1 to 2 tbsp Radiant apple cider vinegar to 8 oz of water cider vinegar. Makes delicious salad dressing. Substitute lemon juice in salads, marinades and sauces with Radiant apple cider vinegar. Use as mouth gargle, body soak and foot bath.